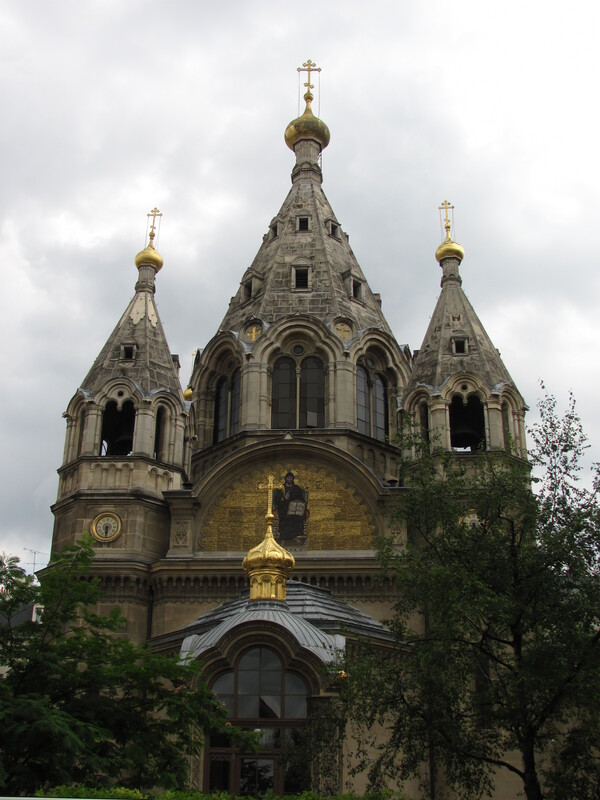 I have chosen St Alexander Nevsky (1220-1263) for this week because I was looking for an Eastern saint this time around, I’ve visited the exterior of the Russian Orthodox Cathedral in Paris (pictured left) that’s name after him, and his feast is tomorrow (23 November). Moving from a queen last week (St Margaret of Scotland) to a king is an interesting transition, because saintly queens tend to be remembered for their piety and acts of mercy. While saintly kings may be remembered for this also, they also have a tendency to be remembered either for Christianising their kingdom or for keeping its borders safe from either heathens or the wrong kind of Christian. Alexander Nevsky, Prince of Novgorod, protected the borders of the Rus from both the wrong kind of Christian and heathens. Alexander succeeded his father in 1236 at the age of 16. The Tatars had been engaged in some quite successful invasions of Rus territory, and — fortunately for Prince Alexander — they decided to turn southwards. His next engagement would be with Catholic Europe in 1240, when he did battle with the Swedes. The Swedish were, at this period of the Middle Ages, at the forefront of power in north-central and northeastern Europe. Their star was in the ascendancy. Anyway, in 1242 Alexander Nevsky went head to head against the Tuetonic Knights, the other western force impinging on the Slavic Rus’ control of ‘Russia’** The Tuetonic Knights had been a major contributor to the successful spread of western, Catholic Christianity in parts of northeastern Europe — hence why Russia’s Baltic neighbours are not Eastern Orthodox. Some of their work had been the conversion on non-Christian populations to the Catholic faith. 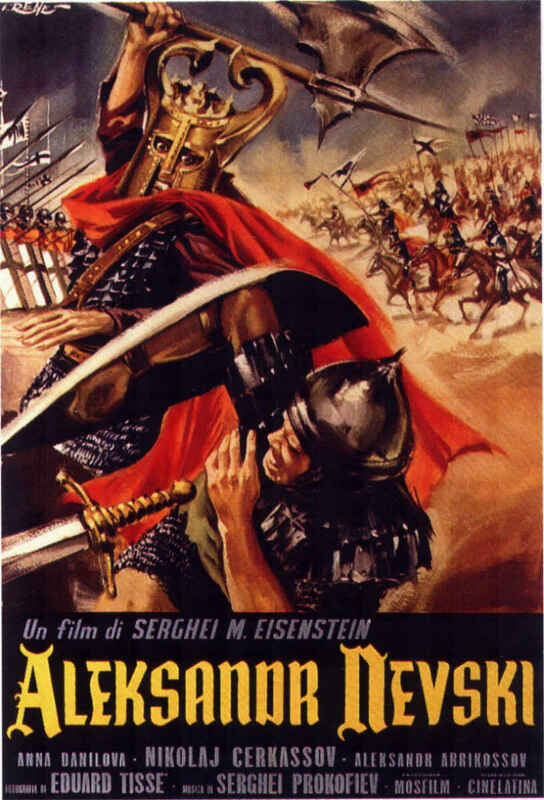 But now they were taking on the Rus, an ostensibly Christian people — just the wrong kind (from their point of view). Not to worry — Russian Orthodoxy and Slavic ascendancy were saved when Alexander defeated the Teutonic Knights at Lake Peipous. Interestingly enough, although Catholic Christians are definitely the enemy, after these famous battles (or during them? my source is The Oxford Dictionary of Saints), Nevsky was involved in working with the Tatars. Either they had converted without me knowing it, or its better to ally yourself with non-Christian nomads than to be conquered by Latin Catholics. At least from the Rus point of view. Alexander is said to have taken monastic vows shortly before he died. He died on 14 November 1263 at Gorodec, and proceeded to wait 119 years to be canonised when it was politically convenient following Dmitri Donskoy’s defeat of the Tatars. I, personally, am a bit skeptical about the sanctity of saints who read more like nationalistic warriors than anything else, but I’m some sort of dirty, western Protestant, so I could be biased. I’ll redress my somewhat cynical reading of Nevsky in future with a Russian saint I can get behind — I promise. *An early example of their assimilation to local cultures is the adaptation by the Volga Vikings of certain Turkic practices in the 10th-century travelogue of Ibn Fadlan (inspiration for Eaters of the Dead and its film adaptation The 13th Warrior). **Sincerely unsure of how these terms should be applied at this time. 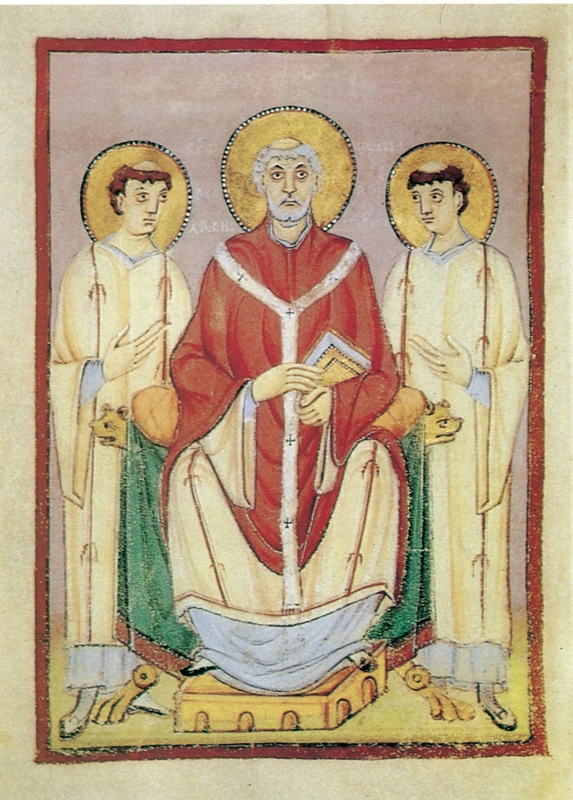 St Willibrord (658-739; Feast: 7 November) is one of the various missionary saints from the Anglo-Saxon world to the European continent such as his younger contemporary St Boniface (saint of the week here); his mission field was Frisia and parts of the modern Netherlands and Luxembourg, reaching into (pre-Viking) Denmark. Willibrord was born in Yorkshire, the son of a certain Wilgils who at some point after Willibrord’s birth became a hermit. Willibrord was educated by St Wilfrid at Ripon and, in 678, went into exile in Ireland when Wilfrid lost his episcopacy in York and took his appeal to Rome (the first English bishop to use Rome as a court of appeal). Of note concerning Wilfrid is that he spent some time preaching in Frisia, also an Anglo-Saxon first, and no doubt later to inspire his disciple Willibrord. Willibrord spent twelve years in self-imposed exile in Ireland where he spent time in study and was ordained priest. According to the Venerable Bede (saint of the week here), Egbert had long wanted to engage in continental mission, and the earlier mission of a certain Wictbert had availed nothing. After Willibrord’s return to England in 690, he and twelve companions went as missionaries to Frisia to fulfil Egbert’s vision. The choice of Frisia/Friesland makes sense, given the linguistic similarities between Old English and Frisian. I also believe that it is one of the parts of the Continent whence came Britain’s post-Roman Germanic invaders (ultimately ‘Anglo-Saxons’ to us). 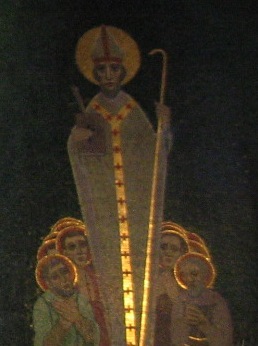 Anglo-Saxon bishops (and Carolingians) tended to hold the Bishop of Rome in very high regard, not simply as the Patriarch of Western Christendom, but also as the person (in particular, Gregory the Great, saint of the week here) who first organised the Anglo-Saxon mission of Augustine of Canterbury (saint of the week here). As a result of this esteem in which the papacy was held, Willibrord visited Pope Sergius in Rome early in his mission. In 695 he again visited Rome, this time for his consecration as Bishop of Utrecht. In 698, he founded his first monastery at Echternach. Monasticism and mission go hand in hand for insular evangelism. Christianity, of course, can be a politically and socially de-stabilising creed. While Pippin II may have supported Willibrord, Radbod, a Frisian king who practised traditional religion, did not. In 714, Radbod drove Willibrord out of Utrecht, destroyed churches, and killed some priests. In 719, Radbod died, and Willibrord returned to Achiepiscopal see. It was after this that St Boniface joined Willibrord for a time before going East for his own missionary activity. Like most missionaries of his day, Willibrord literally killed some sacred cows and destroyed some idols. Unlike the less fortunate ones, he and his companions survived. He died at the monastery in Echternach in 739. He is an example of how early mediaeval prelates combined asceticism with evangelistic zeal. We would do well to imitate, I think. Also available online is Alcuin’s Life of Willibrord. *Quick note on church organisation: Local bishops have the pastoral and administrative care of cities and their surrounding area, today called a Diocese. These are further organised into Provinces, each of which has a Metropolitan. In the early mediaeval church, above the Metropolitans was the Pope. Since St. Augustine of Canterbury was our saint last week, let us turn to another missionary saint, St. Boniface (675-754), the Apostle of Frisia and Germany (so, I guess, emphatically not of the Dutch?). One of the notable realities of the Anglo-Saxon Church was its missionary enterprise. The English were a people who came to Christ in the 600’s, and by the end of that century they were sending out missionaries themselves. Saint Cuthbert is remembered not only as a monk and hermit but as a missionary. He engaged in the work of evangelism amongst the unsaved English. St. Boniface is amongst the body of English missionaries, but unlike Cuthbert his mission was a sending out to the pagan world on the Continent. He was born in Devon (whence the Hoskins hail!) of free, land-owning peasants and received his education amongst the monasteries at Exeter and Nursling. He became a monk, producing England’s first Latin primer (an achievement not to be passed over) and writing poems and acrostics. When he was thirty years of age, he was ordained priest, and his knowledge of the Scriptures was used by the Spirit to bring him success in preaching and teaching. This skill at preaching and teaching made him known beyond the monastery walls, and King Ina of Wessex and his synod sent him as their envoy to Archbishop Burchard of Canterbury. Boniface could have continued his ecclesiastical career in England. He would probably have been able to write a number of clever books and commentaries and preach to many more Christian souls if he had. He may have gotten a nice, comfortable English bishopric. He would certainly have become an abbot. Instead, he followed the call to mission and crossed over to Frisia, following the footsteps of Sts. Wilfrid and Willibrord. There he met with much opposition from militant pagans and was forced to return to Nursling in England. In 717, he refused to accept his election as abbot of this monastery but set off the next year to Rome. There he went to Pope Gregory II for a definite mission for preaching and was given Bavaria and Hesse. On his way, hearing things were less volatile in Frisia, he spent three years with the aging Willibrord, assisting with his mission there. Only then did he go on to Hesse. The Pope ordained him bishop and gave him a letter to Charles Martel (victor at Tours and grandfather of Charlemagne). Charles Martel gave Boniface his protection, and the English monk proceeded to evangelise Hesse. His zeal in Hesse is best remembered in the story of the sacred oak at Geismar. He took an axe to it and felled it. The pagan gods neither protected the people of Geismar and the oak nor did they avenge its felling. This demonstration, reminiscent of Elijah vs. the prophets of Baal, was instrumental in the conversion of many. St. Boniface moved his mission on to Thuringia where he continued preaching and making disciples for Christ. As St. Boniface made disciples, he also made monasteries. These were populated by English monks and nuns and served as centres of Christianity and civilisation. This was a typical approach for the time, and it strikes me as a very clever use for the monks, incorporating them into Christ’s Kingdom-growing mission and its frontlines. Pope Gregory III made him archbishop in 732, enabling him to consecrate bishops in that part of Germany beyond the Rhine. In 738, a new mission field opened amongst the Saxons of Westphalia when Charles Martel defeated them. Boniface tried to recruit prayers and support from the Anglo-Saxons in England, given their common ancestry; but this mission field soon became closed when the Franks lost it, remaining closed to Christian missionaries until Charlemagne conquered it and forced the locals to convert by the sword. During his career as archbishop, St. Boniface recruited more missionaries to join him, held synods and councils amongst the newly-converted German Christians, and sought reform in the Church in France following Charles Martel’s death in 741, curtailing such abuses as simony and vacant bishoprics, and establishing the Benedictine Rule as the standard for all Carolingian monasteries. Many of Boniface’s decrees regarding the Frankish church went unenforced, especially following the accession of Pippin the Short, who engaged in many of the same bad practices as Charles Martel. Boniface was getting on in years and left these matters to younger minds, retiring instead to Frisia where his missionary efforts had begun. In these last years, he not only re-evangelised parts where paganism had had a resurgence, but pushed the Christian mission into new places. One day, while awaiting some converts to come for their confirmation at the River Borne, a band of angry pagans attacked at killed Bishop Boniface and his companions. So ended his activity in the evangelism of the Frisians and the workings of the Church in the Early Middle Ages. His feast day is today. May his example of missionary zeal and reform spur all of us onward to bring more disciples into the Kingdom of God regardless of the cost, for such will cost our whole lives, whether bands of pagans kill us by the side of a river or not. I owe the bulk of this information to David Hugh Farmer’s The Oxford Dictionary of Saints. The opinions and certain connections with the wider mediaeval church, however, are all mine; so is the photo. St. Anthony of Padua (1195-1231) has the unenviable position of being the Patron Saint of Lost Things. This means that he is chiefly remembered when other things are not, that many people know his name but little about him, and that myriad prayers are sent up to him by people with little or no attachment to the church at large, let alone the Church of Rome, whenever they misplace the car keys. But who was St. Anthony? What did he do? Why should we care? St. Anthony of Padua was noble-born in Lisbon, Portugal, and joined the Order of Austin Canons at a young age. However, inspired by the martyrdom of Franciscan missionaries in Morocco and joined the Friars Minor in 1220. He sailed to Africa to engage in missionary activity there, but was forced to return to Europe due to ill health. In 1221 he was present at the General Chapter of the Order of Friars Minor at Assisi (remember that St. Francis died in 1226). St. Anthony became a lector in theology at Bologna, Montpellier, and Toulouse, but is best remembered as a preacher. In good Franciscan fashion, he drew crowds so large they couldn’t fit in churches. He preached in the marketplaces, targetting the evils of avarice and usury. Many heard the Gospel call on their lives through the preaching of St. Anthony and came to true faith in Christ and repentance from their old ways of living. After a few years, St. Anthony moved to Padua, Italy. Here, rather than split his time between theology and preaching the Gospel, he devoted his entire time to preaching. He died at the young age of 36. Wait. The Patron Saint of Lost Articles was an evangelist? He wasn’t a detective or something? David Hugh Farmer, in The Oxford Dictionary of Saints believes he gained his patronage over Lost Things because a novice once borrowed his psalter without permission, then had “a fearful apparition” that drove him to return it. Men like St. Anthony are a reminder to Protestants that the Middle Ages were not some godless vacuum full of “superstitions”. Such a view is entirely untenable. It is true that once being a Christian became fashionable after 312 and practically necessary after 381, the Church has always had a very large population of “pew-warmers.” She has, at the best of times, been aware of this. Thus the evangelists of the Middle Ages, men like St. Francis, St. Dominic, St. Cuthbert, and St. Anthony of Padua. St. Anthony was part of the missionary enterprise both at home and abroad. He sought to bring the life-saving Gospel of Jesus Christ to the Muslims of Africa. When health issues sent him back to Europe, he devoted the rest of his life to bringing the Gospel to the masses, to the people of Europe who may not have truly heard the salvific story, many of whom had certainly not yet been convicted in their hearts. He is worth honouring. So, the next time you lose something, think of St. Anthony of Padua. And then think of people you know to whom you could bring the life-bringing news of Jesus Christ. That is, no doubt, how he would best wish to be remembered.